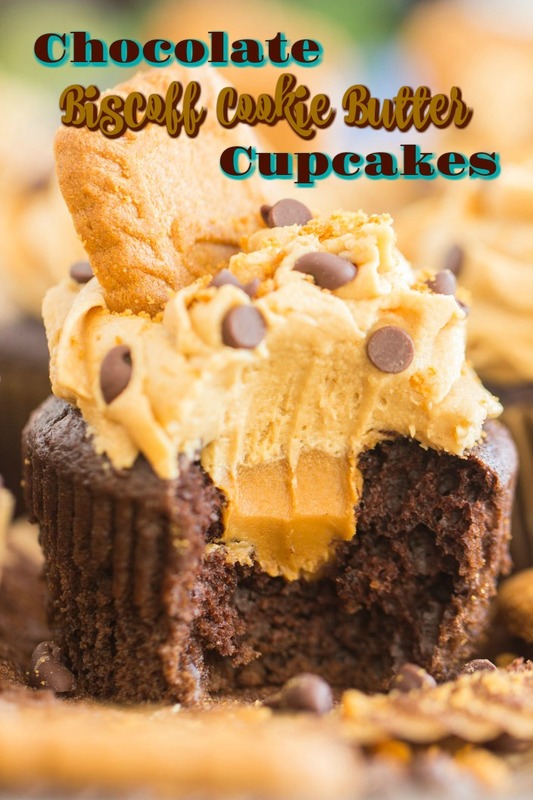 These Chocolate Cookie Butter Cupcakes are simple doctored-up cake mix chocolate cupcakes, rich and moist, filled with Biscoff cookie butter, and topped with fluffy, creamy Biscoff cookie butter frosting! 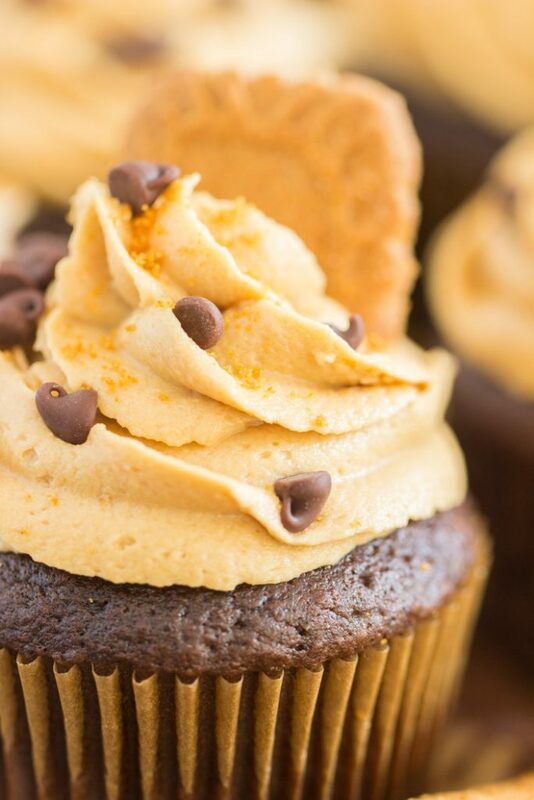 These Chocolate Cookie Butter Cupcakes are a killer and irresistible combo of chocolate, cinnamon, and spice! 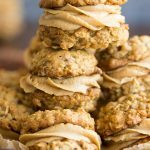 I have a lot of cookie butter recipes, and I never thought to address this, but one of the most frequently asked questions I get is: what is cookie butter? I’m so entrenched in the baking world these days that I didn’t realize that cookie butter isn’t commonly known. Before we dive into these Chocolate Cookie Butter Cupcakes, let’s address cookie butter. So what is it? You know Biscoff cookies? You can buy sleeves of them at the grocery store, and they’re also the little rectangular cookies that you get as a snack on Delta flights – Lol. They’re like spiced, cinnamon graham cracker cookies. 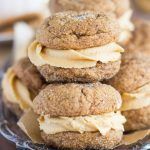 Cookie butter is a spread made from Biscoff cookies, butter, brown sugar perhaps, and who knows what else… but it’s a spread made from cinnamon cookie crumbs. Weird, right? It’s incredible though. I find Biscoff cookie butter at most grocery stores, including Target and Walmart, and you can even find it at Trader Joe’s, under their own brand of cookie butter called Speculoos. It’s readily available at most stores. It’s like Nutella in that it whips into buttercream frosting beautifully. I’ve talked about the structure of Nutella a lot, and how Nutella Buttercream is amazing and unbelievably effortless. 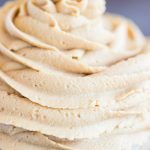 Anyway, I made a recipe for Cookie Butter Frosting last year – it’s easy as can be, and it produces a thick, fluffy, creamy frosting. 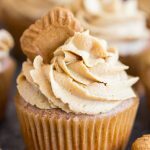 I used Cookie Butter Frosting to top these spice cake-based Biscoff Cookie Butter Cupcakes, and those cupcakes are filled with cookie butter spread too. 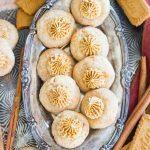 You can also find that same Cookie Butter Frosting in these Snickerdoodle Thumbprints with Cookie Butter Buttercream and these Oatmeal Sandwich Cookies with Cookie Butter Frosting. 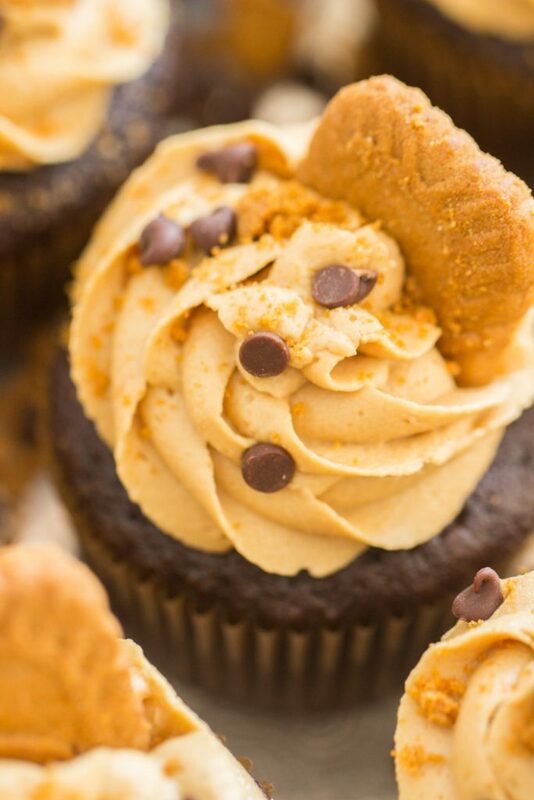 Anyway, today I’m pairing cookie butter with chocolate in these Chocolate Cookie Butter Cupcakes! Chocolate cake mix cupcakes, but spruced up with chocolate pudding mix and a few other ingredients. They’re ultra soft, moist, and you betcha: chocolatey. Fill the center of each cupcake with a heaping spoonful of cookie butter spread. Sweet, creamy, and loaded with spice! 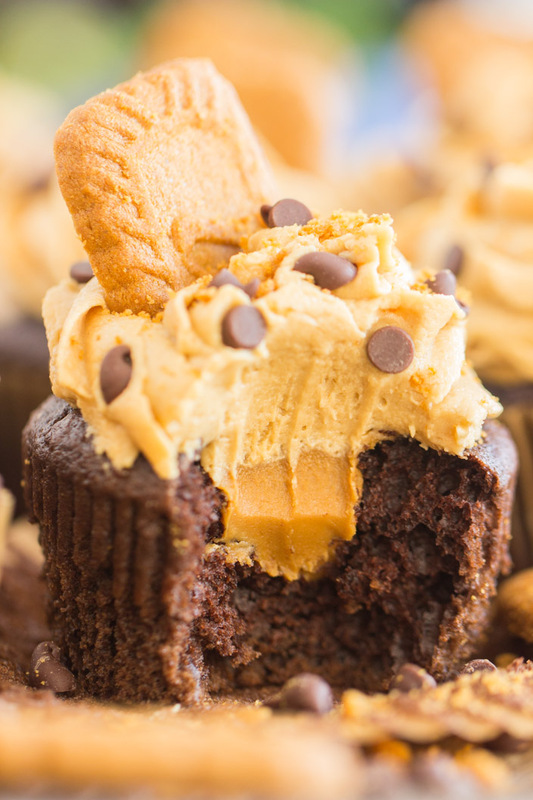 These Chocolate Cookie Butter Cupcakes are topped with a massive mound of Cookie Butter Frosting. It’s so fluffy, thick, and creamy. You’ll be hooked. Now that you’re familiar with cookie butter (if you weren’t already), here’s some other recipes you may want to check out: this Cookie Butter Cheesecake with Biscoff Crust, these Cookie Butter Rice Krispie Treats, and this Double Layer Biscoff Pumpkin Cheesecake! 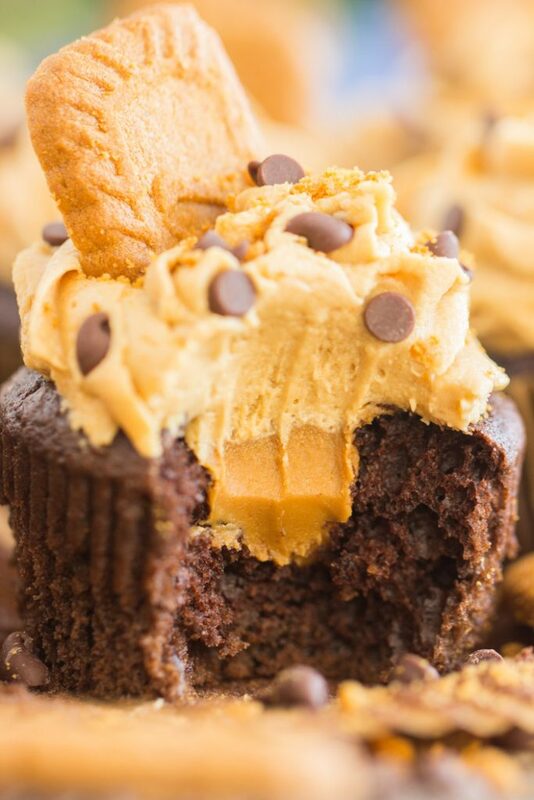 These Chocolate Cookie Butter Cupcakes are doctored-up cake mix chocolate cupcakes, rich and moist, filled with Biscoff cookie butter, and topped with fluffy, creamy Biscoff cookie butter frosting! 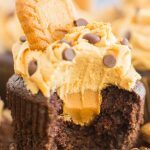 These Chocolate Cookie Butter Cupcakes are a killer and irresistible combo of chocolate, cinnamon, and spice! In a large bowl, stir together cake mix, pudding mix, eggs, water, milk, and oil. Bake at 350 degrees for 15-20 minutes, or until tops appear set, and a toothpick inserted near the center comes out clean. Using a teaspoon or small spoon (a grapefruit spoon works best! ), hollow out a 1-inch ball in the center of each cupcake. Set aside cake crumbs for another use (cake balls, maybe?). 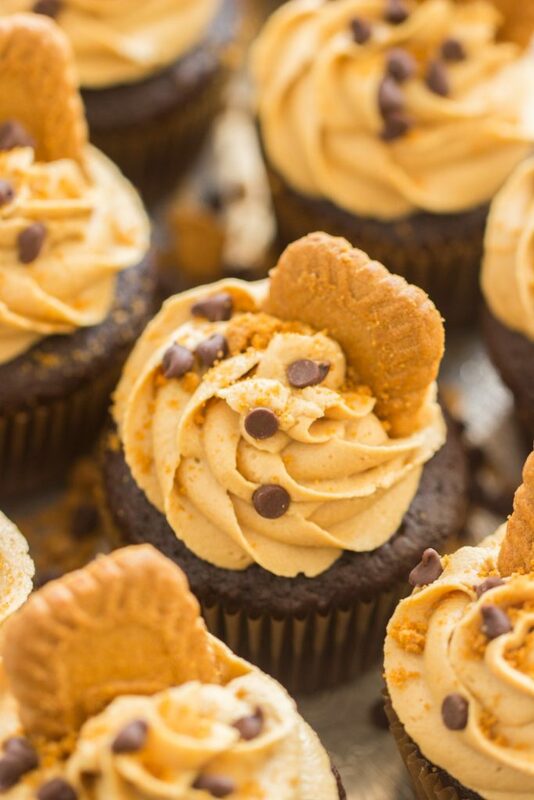 Spoon a rounded teaspoonful of cookie butter into the center of each cupcake. The easiest way to do this is with a small cookie scoop! Add 4 cups powdered sugar, beating until combined. Add heavy cream, beating until combined. Add additional powdered sugar, if needed, to achieve a thick, but fluffy frosting. It should be pipable. Pipe or spread onto cupcakes. I use a piping bag fitted with a large star tip, Wilton 1M! 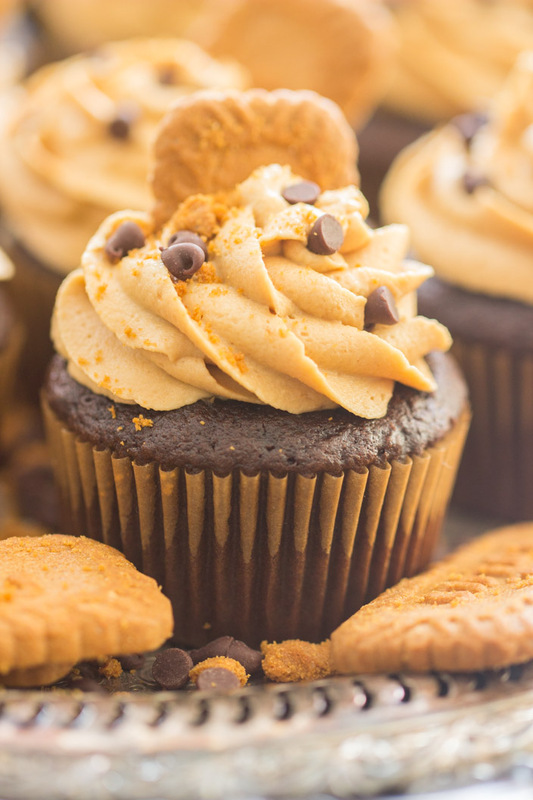 If desired, garnish by sticking 1/2 a Biscoff cookie into the frosting of each cupcake, and top with a sprinkling of mini chocolate chips.